Pack of 100 Nickel Plated small 1 hole d-ring style picture hanger. The strap is .6 mm steel and the ring is 2 mm steel. This picture hanger uses either a 6 or 8 gauge screw stock number 8210. 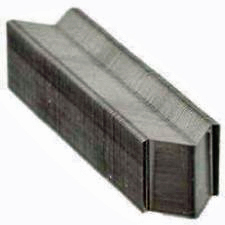 5/8 inch wide and 1-1/4 inch high. 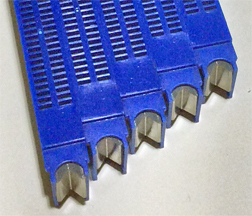 Pack of 1000 Nickel Plated small 1 hole d-ring style picture hanger. The strap is .6 mm steel and the ring is 2 mm steel. This picture hanger uses either a 6 or 8 gauge screw stock number 8210. 5/8 inch wide and 1-1/4 inch high. Pack of 100 Black Anodized small 1 hole d-ring style picture hanger. 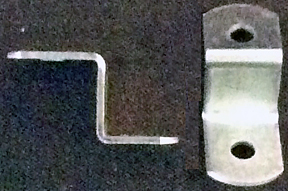 The strap is .6 mm steel and the ring is 2 mm steel. This picture hanger uses either a 6 or 8 gauge screw stock number 8210. 5/8 inch wide and 1-1/4 inch high. Pack of 1000 Black Anodized small 1 hole d-ring style picture hanger. The strap is .6 mm steel and the ring is 2 mm steel. This picture hanger uses either a 6 or 8 gauge screw stock number 8210. 5/8 inch wide and 1-1/4 inch high. Pack of 100 Nickel Plated small 2 hole d-ring style picture hanger. The strap is .6 mm steel and the ring is 2 mm steel. This picture hanger uses either a 6 or 8 gauge screw stock number 8210. 5/8 inch wide and 1-7/8 inch high. Pack of 1000 Nickel Plated small 2 hole d-ring style picture hanger. The strap is .6 mm steel and the ring is 2 mm steel. This picture hanger uses either a 6 or 8 gauge screw stock number 8210. 5/8 inch wide and 1-7/8 inch high. Pack of 100 Large Nickel Plated Large 1 Hole Strap Hanger The dimensions of the strap hanger is 7/8" x 1-7/8". These are the heaviest 1 hole large D-Ring hangers available. 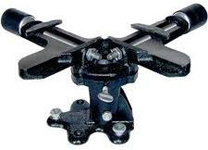 Order #8210 screws for use with this hanger. Pack of 1000 Large Nickel Plated Large 1 Hole Strap Hanger The dimensions of the strap hanger is 7/8" x 1-7/8". These are the heaviest 1 hole large D-Ring hangers available. 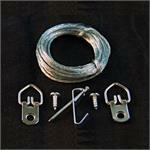 Order #8210 screws for use with this hanger. 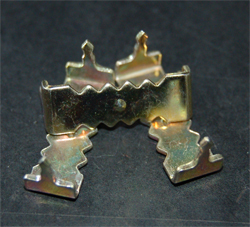 100 Pack of Large Nickel Plated 2 Hole Strap Hanger The dimensions of the strap hanger is 7/8" x 2.5". 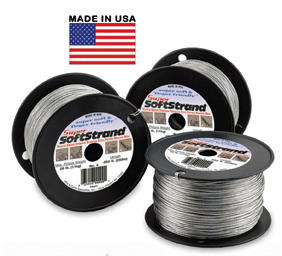 These are the heaviest 2 hole large D-Ring hangers available. 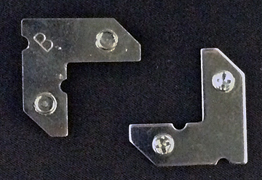 Order #8210 screws 6 or 8 gauge for use with this picture hanger. 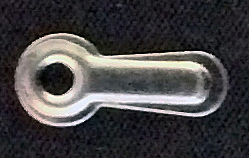 1000 Pack of Large Nickel Plated 2 Hole Strap Hanger The dimensions of the strap hanger is 7/8" x 2.5". 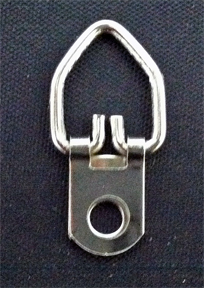 These are the heaviest 2 hole large D-Ring hangers available. 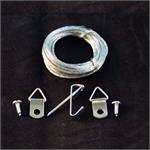 Order #8210 screws 6 or 8 gauge for use with this picture hanger. 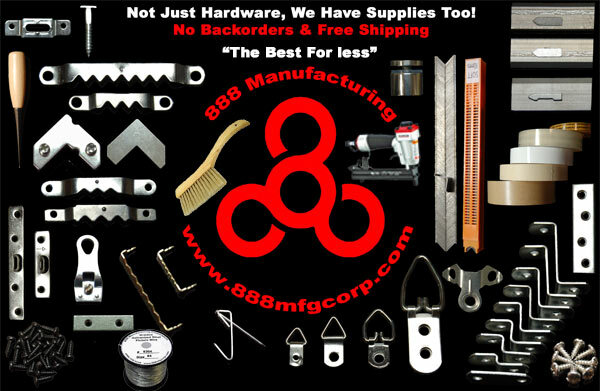 12 Pack of Large Nickel Plated Large 3 Hole Strap Hanger The dimensions of the strap hanger is 7/8" x 4". These are the heaviest 3 hole large D-Ring hangers available. 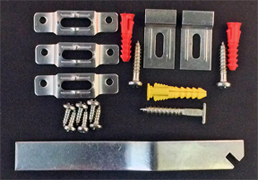 Order #8210 screws for use with this picture hanger. 100 Pack of Large Nickel Plated Large 3 Hole Strap Hanger The dimensions of the strap hanger is 7/8" x 4". These are the heaviest 3 hole large D-Ring hangers available. 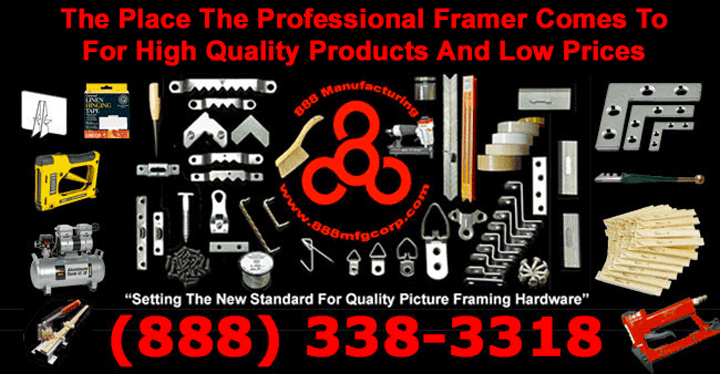 Order #8210 screws for use with this picture hanger. 500 Pack of Large Nickel Plated Large 3 Hole Strap Hanger The dimensions of the strap hanger is 7/8" x 4". These are the heaviest 3 hole large D-Ring hangers available. 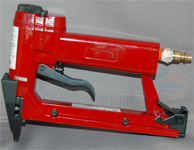 Order #8210 screws for use with this picture hanger. 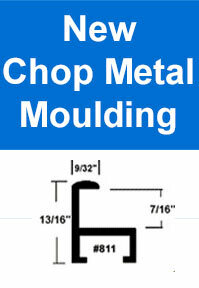 1000 Pack of Large Nickel Plated Large 3 Hole Strap Hanger The dimensions of the strap hanger is 7/8" x 4". These are the heaviest 3 hole large D-Ring hangers available. 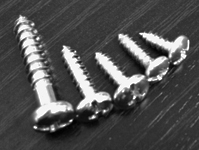 Order #8210 screws for use with this picture hanger.